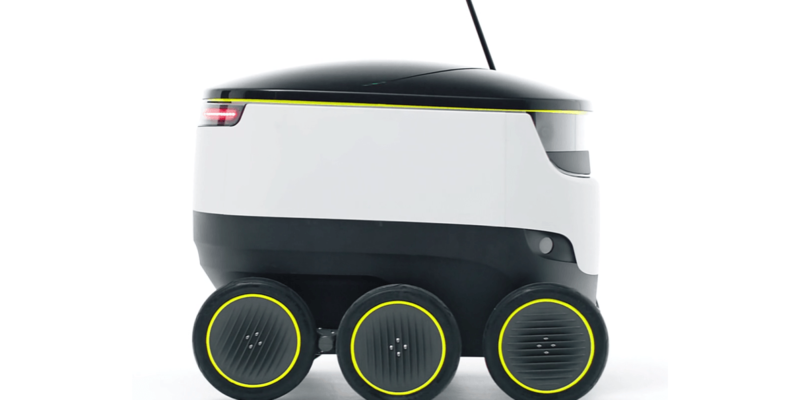 Londoners are historically known for being unfazed by almost anything, but a little delivery robot that’s set to be cruising the streets is causing a bit of a stir. First revealed at the end of last year, the Starship Technologies (a suitably futuristic company name) is now ready to start testing the robots on London’s streets and paths, pending approval. The delivery range of the drone is about 30 minutes and it’s guided to its destination by GPS. Despite the 30 minute delivery radius, the battery should be good for up to two hours. Naturally, a delivery robot that couldn’t avoid people (and other obstacles) or hop up curbs wouldn’t get very far on London’s streets, so this one can. It can transport loads of up to around 20lbs and its cargo bay is permanently locked until it gets to its destination. If anyone tries to tamper with it en-route, there are on-board cameras, a microphone and a speaker so that an operator can warn them off. The scheme when approval is received, which is expected for next month. The company told the Evening Standard that tests on London’s South Bank had proved the robot successfully managed to avoid pedestrians. Behind the scenes, there’s a human operator that can take over if required. Exactly who is liable if one of these robots were to cause an accident is a question still worth mulling, however.